Price Reduction!!!! 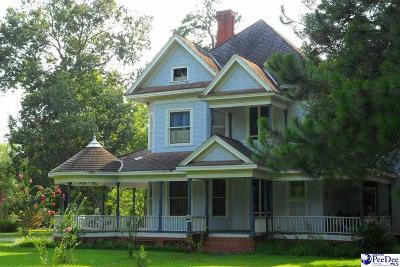 Incredible Victorian home located in historic downtown Marion, SC which is located 45 miles west of Myrtle Beach, SC. This Queen Anne style home features a large wrap around porch, spectacular foyer, stunning front stair case, back servants stair case, hardwood floors, 6 original fire places, 2nd story balcony, iron fence, master suite with sitting room, formal dining, formal living, den, large bedrooms and beautiful high ceilings and large windows! 4/5 bedrooms and 4 full baths with Iron Claw foot tubs!